MoreMatthew Haberkorn attended Arizona State University and graduated in 1987 with a degree in business and pre-medicine. He went on to graduate from Southwestern University School of Law in Los Angeles in 1990 and shortly after he began his career working at a Los Angeles based defense litigation firm. While at this firm, his primary focus was on aircraft accident litigation, but he also devoted about 25% of his practice to litigating matters of liability such as product liability, premises...Matthew Haberkorn attended Arizona State University and graduated in 1987 with a degree in business and pre-medicine. He went on to graduate from Southwestern University School of Law in Los Angeles in 1990 and shortly after he began his career working at a Los Angeles based defense litigation firm. While at this firm, his primary focus was on aircraft accident litigation, but he also devoted about 25% of his practice to litigating matters of liability such as product liability, premises liability and general liability cases. Mr. Haberkorn was responsible from firing pleadings to settlements in State and Federal Courts, including conducting discovery cases. 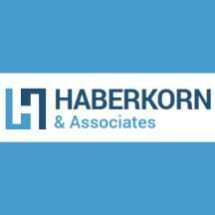 In January of 1998, Attorney Haberkorn switched his focus from defense to personal injury and became a strong advocate for consumers who were injured or killed from an accident. He moved his practice to Northern California's Bay Area in 1999 from the Los Angeles area and has been practicing law there ever since. He is a strong advocate for the injured and has two published works titled Magnin v. Teledyne Continental Motors 91 F 3d 1424 and Bragg v. Valdez 111 Cal. App 4th 421. He is admitted to practice throughout the state and United States District Court for the Central and Northern Districts of California.